WHAT MAKES AUTHORIZED AN EXPERIENCE AND NOT JUST A STORE? A store should be exciting. It should help you generate ideas & enthusiasm for your project. A store should help you visualize what’s possible. Authorized was designed with these principles in mind. Our store is designed like an indoor mall where you can experience a brand by walking into their own showroom. 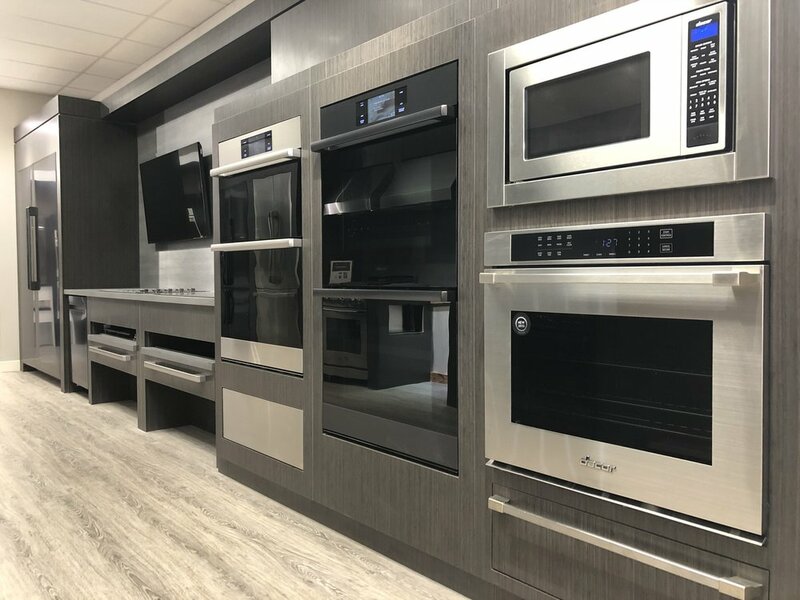 Brands with their own dedicated showrooms include, Samsung, Whirlpool, Kitchen Aid, GE, Cafe, Monogram, JennAir, Dacor, and Sub-Zero & Wolf. Each showroom has a minimum of 18 products on display and over half have some fully-functioning products. The most products on display from multiple leading international brands, including: Asko (Sweden), Fisher & Paykel (New Zealand), Fulgor Milano (Italy), La Cornue (France) and Miele (Germany). We showcase ranges in more than a dozen different colors and finishes. Classic white & black. Sure. Gloss orange? Sure. Do you want a custom color? We display that too. We’re St. Louis’ premier location for custom kitchen ventilation. We like stainless steel. We showcase black stainless, mirrored stainless, hammered stainless, stainless with polished stainless steel trim—and of course your standard stainless steel hood. However…we also love our other hoods, including: copper, polished brass, rose gold, and our custom colors. You can take our word for it, but you don’t have to. We have multiple fully-functioning products to showcase what technology can do. Induction cooking can be 2x faster than some of the most powerful gas burners and clean up with a swipe of a paper towel. Speed ovens can cook up to 8x faster than a traditional oven. Combination Steam Ovens can open your eyes to a world of possibilities. Coffee machines that craft the perfect cappuccino can reshape your view of morning. These are just a few of the technologies on display.